Bill Nye the Science Guy, whose eponymous show wrapped up two decades ago in 1997 but been airing in syndication ever since, has some unfinished business with Disney. 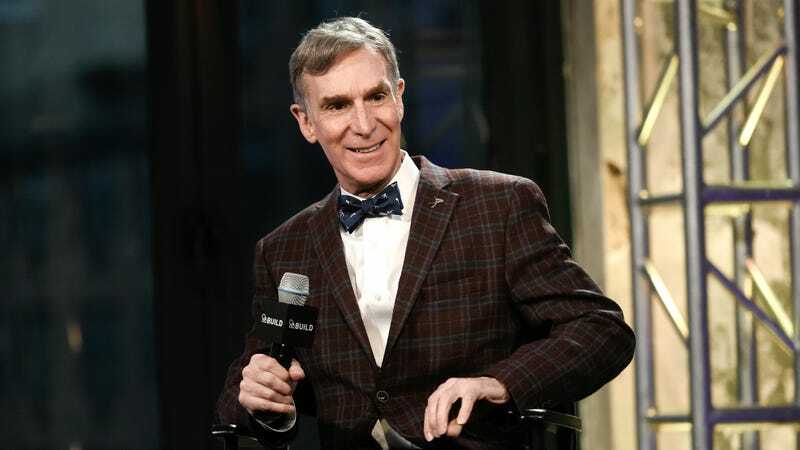 Per the L.A. Times, Nye filed a complaint in Los Angeles Superior Court on Thursday alleging Disney’s Buena Vista Television fudged the numbers on his series Bill Nye, the Science Guy, depriving him and the show’s other co-owners of their contractually obligated 50 percent cut of all net profits. According to Nye, he and the other owners of the show are owed $28.1 million, while he himself was shorted $9.4 million. The suit alleges Nye became suspicious Disney was not doing right by him in 2008, when Buena Vista Television notified him it was reducing a prior year’s profit share from $585,123 to $496,111. The odd readjustment led Nye to look into whether Disney had cooked the books during other pay periods. As CNN Money noted, Nye believes the company acted in bad faith when he tried to sort out the matter with them directly, and deliberately sought to obfuscate royalties earned by the show.